Instead of making this carrot and potato filled thick coconut curry, you could just swing by my house. We have a freezer full of it, and I’d be happy to share. The way I see it, one can never have too much curry, a philosophy which led me to a new, slightly more complex (with plenty of make ahead potential), possibly more authentic, “South Indian” curry, or so says the American food publication responsible for the recipe. With a couple relatively simple curry recipes already on the blog, and this delicious experiment on my hands, I think it’s time to take our curry game to the next level. 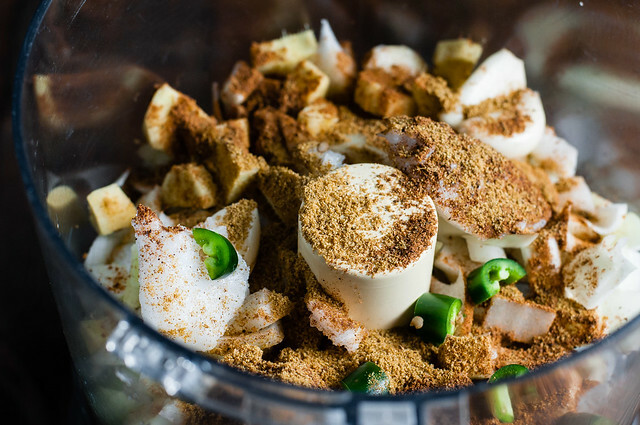 The one where you blend a homemade onion curry paste with coconut oil, a couple spices (still keeping that part simple), and a teensy hot chile pepper and use it as a base for a rich, caramelized coconut gravy of sorts. Except, unlike the gravy of my youth, this one is vegan and packed with exotic flavors. It’s best served…anytime, really, except at your Thanksgiving table over a mountain of buttery mashed potatoes. 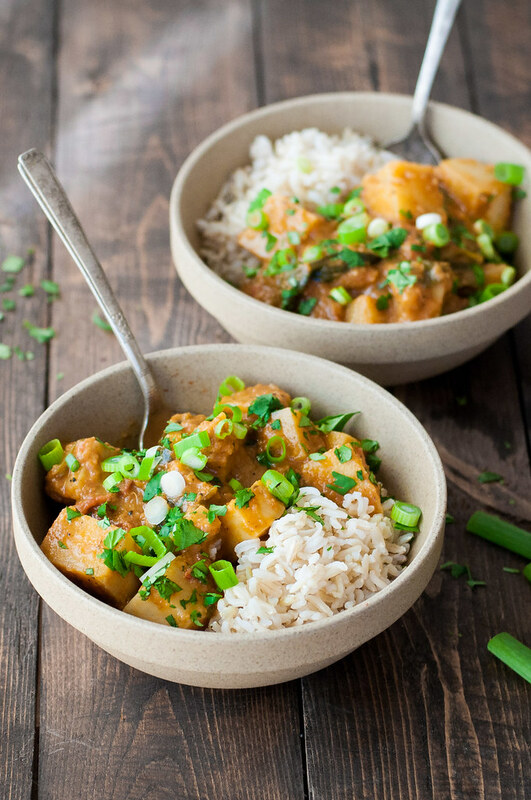 Unlike the flavor, there is absolutely nothing complicated about the ingredient list for this vegan coconut curry. Pantry staples, a few aromatics, root vegetables that you perhaps have on hand, and if you don’t, you could just as easily swap in russets and parsnips, or yukon golds and golden beets. The quantities are not life or death, and if your vegetables are soaking up all the liquid, just pour in a bit more stock or water and everything will be fine. I won’t, however, lie and hold this recipe out as a 30 minute curry. It’s not. Luckily, it’s also not a three hour curry. The time commitment is in the ingredient prep–chopping, peeling, measuring–so if you are patient and good about your mise en place, you won’t be upset when you’re only just peeling the potatoes 45 minutes after setting out with the recipe (see my actual best estimate for prep and cook time in the recipe below). For a weeknight, definitely go with a quick curry over this one. 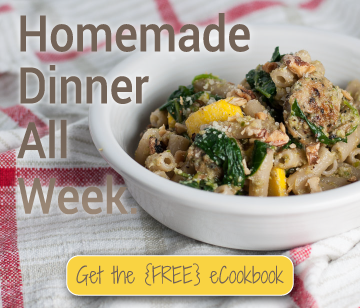 But, if you plan ahead, you can make this one on a slow weekend afternoon or evening, eat some that night, and pack up the rest for latter in the week on a not-so-slow night. It makes plenty, as my freezer well knows. Apparently, I was so busy last week packing the freezer with creamy coconut curry and testing pie recipes that a monumental occasion slipped right by: the 200th blog post on NCK! Wow. I sat there yesterday morning, kind of just staring at that number when I logged in. A few major thoughts: 1) Don’t even tell me how many hours that I’ve spent making that happen. 2) Thank you. Regardless of whether this is your first visit or your 199th (the first post was nothing to write home about), thank you for visiting, reading, cooking, and connecting. I love writing and cooking and sometimes photography regardless of any audience, but it’s really cool that NCK has turned into a community much larger than just me, Steve, and my family. Which leads to my next thought, 3) How fortunate am I to have found a creative outlet that jives (jives?) with my biggest passion? With a new house and active puppy in the picture the last few months, I question all the time whether I should just drop the blog. Is it selfish? I hesitate to make it into a business, for fear of pushing away readers or, you know, that chance that it will fail to make an income. Or, food blogs could be obsolete by this time next year, or the internet could go up in smoke. Can that happen? At the end of the day, I love to cook and I love to test and document everything I do in the kitchen, so I’ll probably be seeing you again at blog post number 300, with a new and different set of life circumstances. Vegan/gluten free. 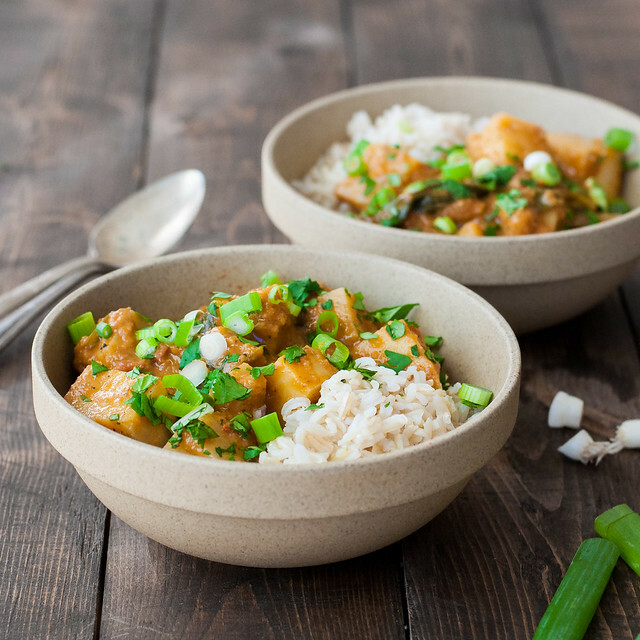 Thick, creamy coconut curry with simple, easy-to-find ingredients. 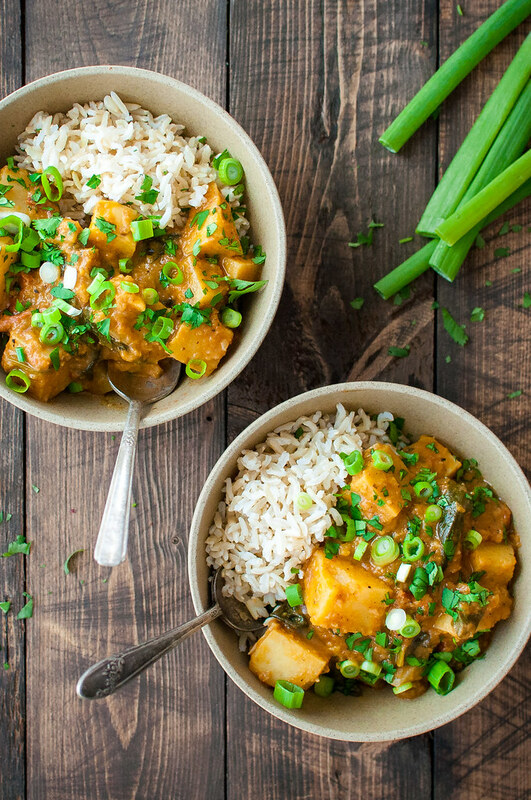 It's vegan, make ahead, and freezer friendly: what more could you want in a curry? 2 large sweet potatoes, peeled and cubed 1"
In a food processor, puree onion, garlic, ginger, oil, garam masala, cumin, and serrano pepper until a paste forms. Heat a dry, medium Dutch oven (about 4 quarts) over medium heat. Add the onion paste and cook 10 minutes, stirring occasionally, until fragrant and sticking slightly to the pan. Add tomato paste and cook 5 more minutes, stirring frequently, until beginning to darken. Add stock, agave, lime zest and juice, and cardamom. Raise heat to bring to a boil, then reduce heat to simmer for 10 minutes, stirring occasionally. To the simmering sauce, add sweet potatoes, carrots, tomatoes, a teaspoon of salt, and plenty of black pepper. Bring to a boil, then reduce heat and simmer, covered, about 30 minutes, until potatoes are tender. Add coconut milk and simmer about 5 minutes, uncovered, until slightly thickened. Stir in baby spinach and cook until wilted. Remove from heat and add lime juice, plus salt and pepper to taste. 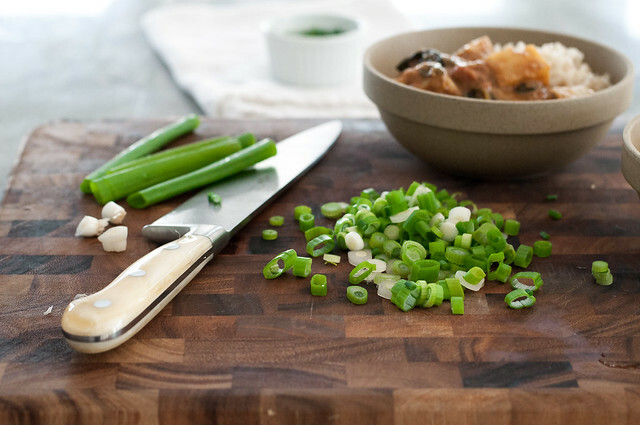 Serve with rice, topped with chopped cilantro and sliced scallions. The curry can also be served without rice as more of a stew, to keep carbs down. To make most of the curry sauce ahead, finish simmering after adding stock, sugar, lime, and cardamom. Cool and refrigerate. To finish the curry, bring sauce to a simmer and proceed with the recipe (add the potatoes, etc.). If you don't want to save the rest of the coconut milk, and you like a creamy, slightly thinner curry, you can just add the whole can. During recipe testing, I like the thickness when I only add a cup of the milk. Adapted from Bon Appetit, May 2008. Note: This page contains affiliate links. It does NOT contain sponsored content. Affiliate links (to products I recommend, on Amazon) offset my ingredient and website maintenance costs, so I can keep bringing you semi-exotic recipes like this one. Thanks! This looks delicious. Will save it for the next time I make coconut milk and give it a try. Thank you. You’re welcome, Kathryn! Awesome that you make so many of your own homemade ingredients. This looks incredible, Tessa! 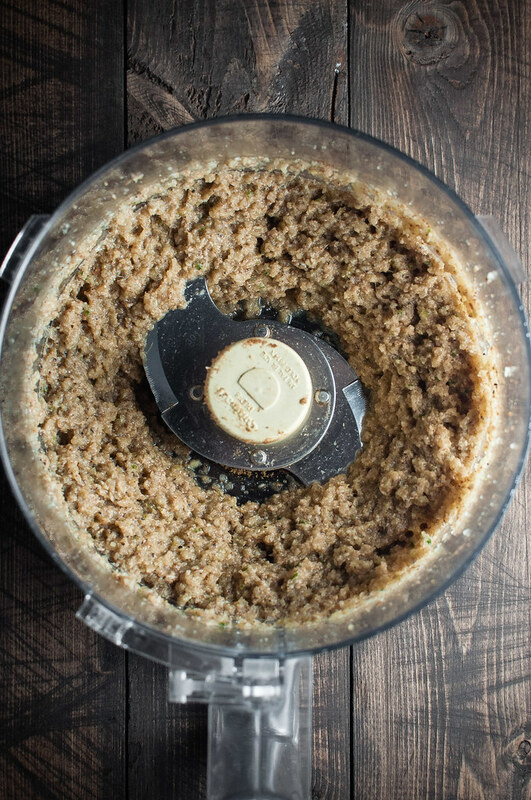 I don’t think I’ve ever made curry paste from scratch but now I’m itching to try your recipe. Thanks for sharing! I barely even knew that’s what I was doing the first time i made it, but it adds SO much flavor if you have a little extra time. Thank you Paige! Do you freeze it before or after you add the vegetables? Hi Rachel! I generally make the whole thing and freeze it all together, but if you have the patience to add the veggies AFTER thawing, they will taste even more fresh. Let me know how you like it!